Mary MacADNski: She likes the duck food fine but wants the other food as well. Wouah, quelle beauté. J'aime beaucoup ses moustaches blanches. Il est à toi ? Mary MacADNski: She is one of two sisters I have who celebrated their third birthday this month. I have my son's cat too. I love the expression Mary! Mary MacADNski: She always wants attention. When I saw the thumbnail of this surprised looking cat it just made me smile straight away..
Mary MacADNski: She does that to a person directly. My sis in law has always been afraid and a disliker of cats. Purrl has turned her. He he what a wonderful expression! Mary MacADNski: She misses her other food but likes the duck food perfectly well. Mary MacADNski: With a tail full of mud presently. Hahahah!! She seems to be staring trying to get her message across that she wants FOOD; stop fiddling with that camera. Mary MacADNski: She is addicted to food and the sneakiest kitty you have ever seen. I don't think she has gone a day without getting one nibble in even with the strict surveillance. Mary MacADNski: She actually does not like the camera. 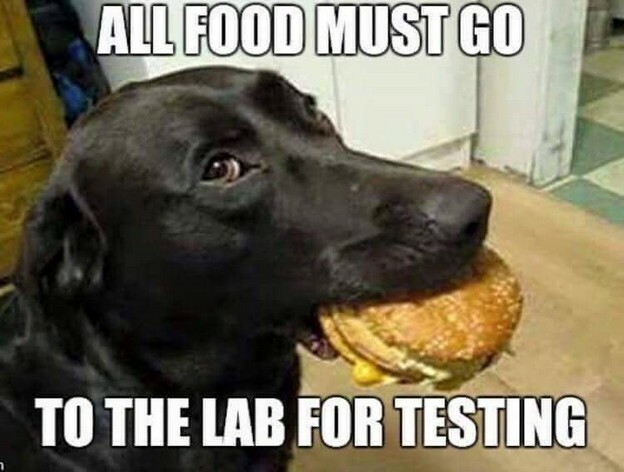 The dog meme is old but still funny. With a stare like that you could wind up doing anything the cat wanted! Mary MacADNski: She has got me wrapped, yes! I find my girls like to have a variety! Mary MacADNski: That is how I have always fed my cats though the vet told me it is not good practice. Purrl has allergies and is eating duck food for three months. I could choose novel proteins such as kangaroo, bison, and others.